Using Solid PDF Tools v6 you can easily convert legacy scanned TIFF documents into standard PDF documents, or fully searchable and archivable PDF/A-1b documents. 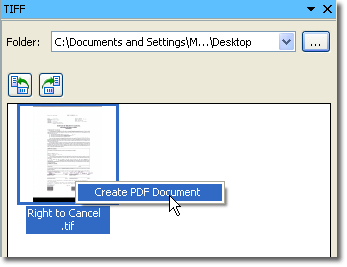 Right-click or Drag and Drop functionality makes it easy to convert TIFF to PDF. 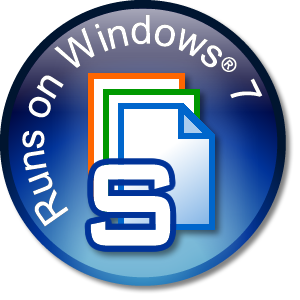 Microsoft's latest operating system, Windows® 7, has received more than a few favorable reviews, so if you're thinking about upgrading from XP or Vista, you'll be happy to know that Solid Documents software runs seamlessly on this new operating system. Simply install our software as you normally would and get to work converting, creating or editing your PDF documents. But that's not all. Solid Converter PDF v6, Solid PDF Tools v6, Solid PDF Creator Plus v6 and Solid PDF Creator v6 now provide support for 64 bit versions of Windows XP, Windows Vista, and Windows 7.